Careers - Cooperative Producers, Inc. Cooperative Producers, Inc. is a diverse company with employment opportunities that cover a wide variety of fields. We are always looking for qualified, passionate candidates that can help make our cooperative more successful! If you’re looking for a great place to work with advancement possibilities, visit the Job Postings page to find your next great opportunity! Cooperative Producers Inc. offers all the valuable benefits you’d expect from a top employer, as well as some you might not expect. We developed our employee benefits with one key objective: to serve the needs of our employees and their families. CPI’s goal is to provide the future leaders of agriculture with a fun and educational environment. Our internships help the future generation gain valuable knowledge and experience while exploring career paths at CPI. CPI internships provide students with “real life” situations that will challenge them to put their education to use. If you’re interested in applying for an internship with CPI, please send a resume to Brittney Parr at bparr@cpicoop.com or Cyndi Vencill at cvencill@cpicoop.com. The Agronomy Intern will build knowledge of proper use of crop protection products, plant nutrition, precision agriculture, seed and other services CPI offers to area producers. The selected candidate will conduct field scouting for crop injury, weed control, application proficiency, test plots, hybrid and product comparisons. Additional projects will be assigned during the internship. 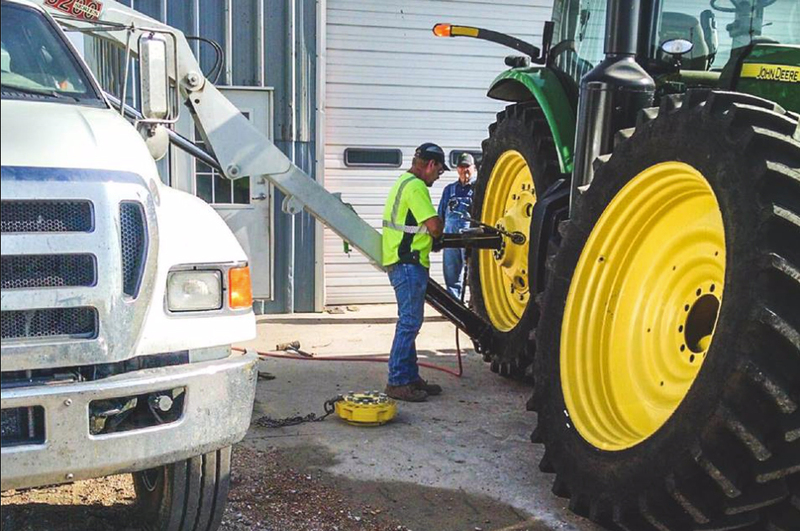 The Applicator Intern will build knowledge in both dry and wet application. The selected candidate will learn all aspects of safety that surrounds an applicator, including, but not limited to: Personal Protective Equipment (PPE), Material Safety Data Sheets (MSDS), labels and driving. They will learn the basics of liquid and dry application and learn how the various areas in agronomy impact application. The Operations Intern will build knowledge in various aspects of the Co-op Operations Division. The selected candidate will observe various leadership and management styles. They will also be assigned various projects during their internship. The Supply Chain Intern will support the Supply Chain activities within the Energy Division business units. The selected candidate will learn best practices and/or tools (e.g. forecasting, distribution and logistics) for supply chain, hands-on knowledge. Support will be in the form of a project (potentially one large project or several smaller projects), with expectations, deliverables and timeliness.